Formed in the Spring of 2002, all-male Westminster began with 15 members, whose average age was 20. Since then the ensemble has grown to over 50 members and gone on to capture the SPEBSQSA Far Western District Chorus Championship in 2003 and 2005, as well as placing 2nd in the 2006 International Chorus Contest. 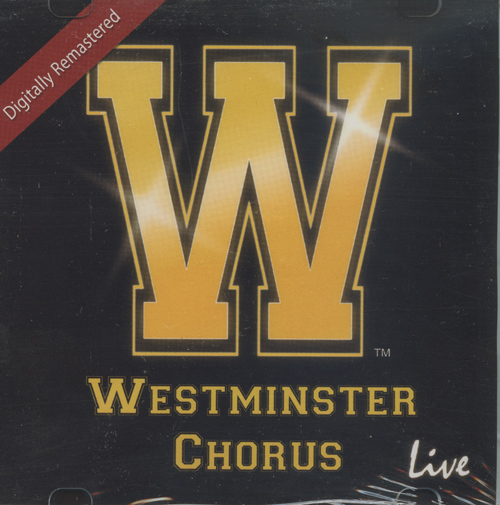 With an average age in the mid-20s, Westminster is the youngest chorus ever to grace the International Stage. This album is a "best-of" grouping of the group's "Collected Works," including two live cuts from the 2004 Internationals, "Shine" and "So Long Mother;" and "The Way You Look Tonight" and "South Rampart Street Parade" from the 2005 FWD Contest. Also included is a pair of live cuts from the quartet OC Times--"Come Fly with Me" and "Good Luck Charm." Other winners are "Great Day," "My Old Kentucky Home," "Bright Was the Night" and bonus track "Ave Maria." Westminster has a powerful sound, smooth and richly harmonic, and we can tell from this recording and the liner notes photos that they put on a dynamic, fun show. Treat yourself to some great entertainment from these rising SPEBSQSA stars!